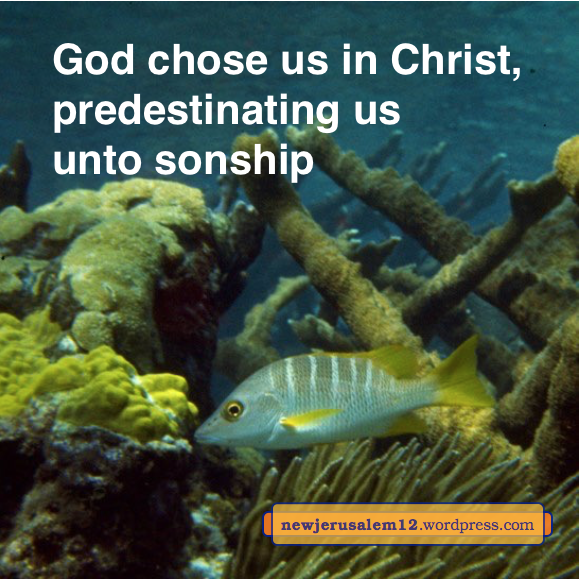 God has chosen and predestinated us unto sonship according to the good pleasure of His will (Eph. 1:4-5). Then verse 6 says that this is “to the praise of the glory of His grace, with which He graced us in the Beloved.” God’s choosing, predestinating, good pleasure, His will, His grace, and the praise of His glory all climax in New Jerusalem. God’s choosing and predestinating are eternal, but man fell into sin and death and was under the condemnation of the law. We could not do anything but “God sent forth His Son, born of a woman, born under law, that He might redeem those under law that we might receive the sonship” (Gal. 4:4-5). Through the death of Jesus Christ we were redeemed and through His resurrection we were regenerated (1 Peter 1:3) and “receive the sonship.” Redemption is needed for fallen humanity but life brings forth the praise of His glory now and in New Jerusalem. For this sonship, Romans 8:15 tells us that we “have received a spirit of sonship in which we cry, Abba, Father!” This is the divine Spirit who gives birth to our human spirit and then dwells in our human spirit. In this spirit we have the reality of sonship. To cry “Abba, Father” releases the spirit deep within us to testify that we are children of God, born of God (v. 16). From regeneration we are children of God. Now we are growing in this life to be mature sons to be fully prepared for New Jerusalem. Four verses in the New Testament include the word “sonship” in reference to New Testament believers and one verse in reference to Israel. The goal of this sonship is New Jerusalem. New Jerusalem is a city of eternal life; the divine, eternal life we received is bringing us to this wonderful city. Our sonship is eternal. 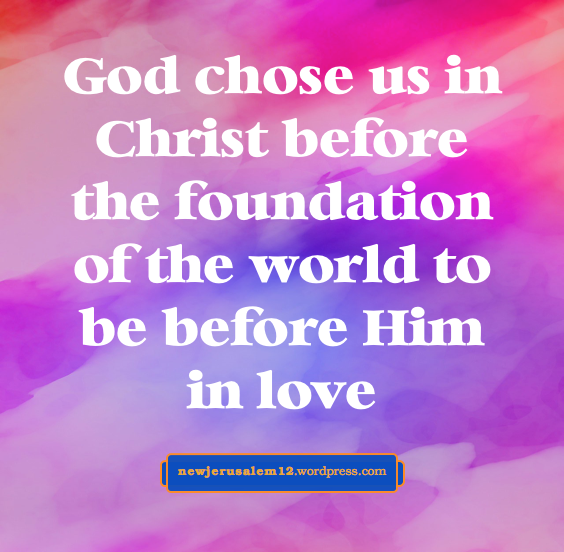 Ephesians 1:4-5 tell us that God chose us in Christ “predestinat-ing us unto sonship through Jesus Christ to Himself, according to the good pleasure of His will.” God’s choosing and predestinating are eternal, matching the eternal nature of New Jerusalem. Likewise, God’s good pleasure culminates with New Jerusalem. The sonship to which God predestinated us is “to Himself,” the essence and center of this marvelous city. 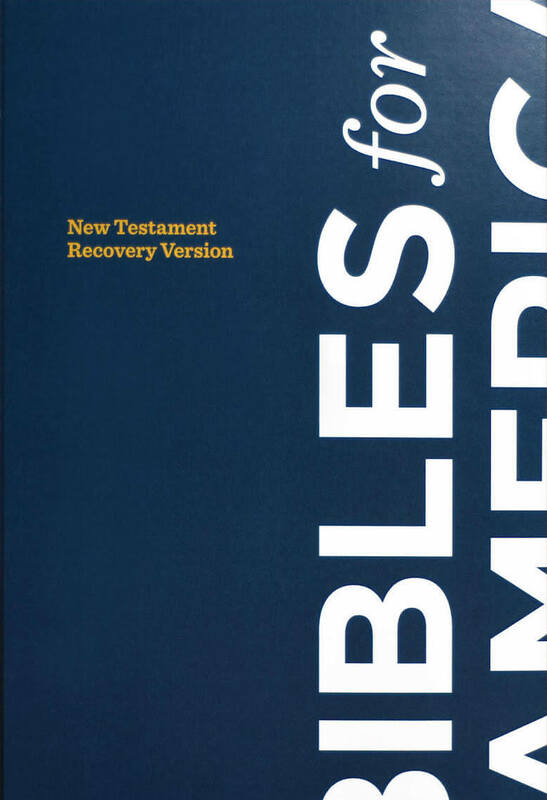 This post concludes our look at New Testament verses with the words according to God’s... 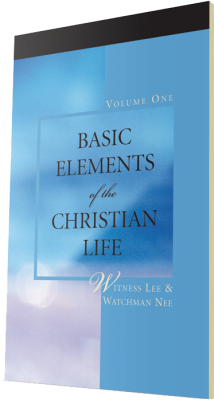 These eternal characteristics of God bring forth New Jerusalem and constitute us into it. 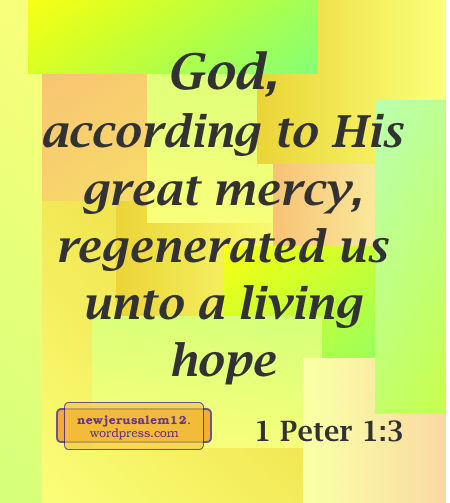 1 Peter 1:3: “Blessed be the God and Father of our Lord Jesus Christ, who according to His great mercy has regenerated us unto a living hope through the resurrection of Jesus Christ from the dead.” Regeneration is our first step into New Jerusalem. There is nothing we can do to qualify ourselves for regeneration; Jesus Christ has done it all and according to God’s great mercy we can receive what He has accomplished. 2 Peter 3:13: “But according to His promise we are expecting new heavens and a new earth, in which righteousness dwells.” The new creation, with New Jerusalem as its center, is not our uncertain human hope; it is according to God’s promise. New Jerusalem will be full of “eternal life, which God, who cannot lie, promised before the times of the ages” (Titus 1:2). God’s promises are from eternity to eternity. Thank Him! 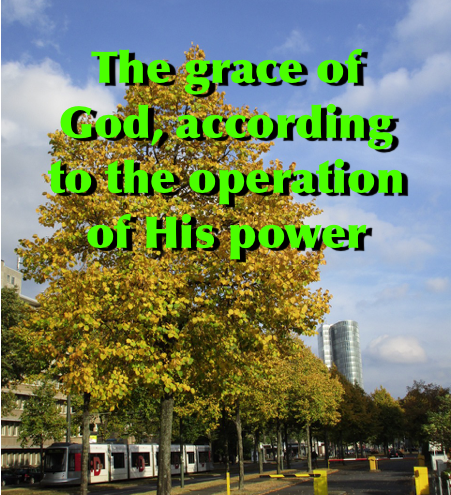 In the verses in this and four prior posts (1 2 3 4) we see God’s eternal plan carried out according to His great mercy, good pleasure, will, purpose, counsel, promise, riches of glory, riches of grace, and the operation of the might of His strength. All of these divine characteristics are eternal. They are manifested in His actions in eternity past (e.g. predestinating in Eph. 1:5), now (e.g. making known to us the mystery of His will in Eph. 1:9), and at His second coming (e.g. conforming our body of humiliation to His body of glory in Phil. 3:21). These characteristics and the actions carried out through them have eternal results in New Jerusalem, where we will forever enjoy the riches of His grace and proclaim the riches of His glory. This is the second post with verses that say according to God’s will/purpose/pleasure… which far exceed our will/purpose/pleasure. Because everything of God is consummated at the end of the Bible, all these phrases point toward New Jerusalem. Ephesians 1:9: “Making known to us the mystery of His will according to His good pleasure, which He purposed in Himself.” God’s will is according to His good pleasure, not for the common pleasures sought by humans. When we are one with Him, we partake of His pleasure and He becomes our satisfaction. 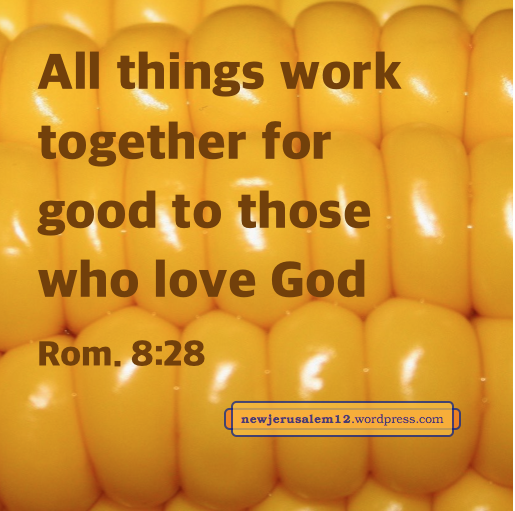 In New Jerusalem we will fully participate in and fully be satisfied by God’s good pleasure. Ephesians 1:11: “In whom [Christ] also we were designated as an inheritance, having been predestinated according to the purpose of the One who works all things according to the counsel of His will.” In Ephesians 1:7 we were predestinated according to the good pleasure of His will in this verse according to the counsel of His will. God’s will, pleasure, and counsel far exceed ours. Thank Him for bringing us to Himself! Ephesians 1:19: “And what is the surpassing greatness of His power toward us who believe, according to the operation of the might of His strength.” Ephesians 1:15 begins a prayer that the Father of glory would give us a spirit of wisdom and revelation that we may see many things of His economy. This portion of the prayer covers his power, might, and strength, which are surpassing. They are so excellent, so high, because God’s goal, New Jerusalem, is so excellent. Ephesians 3:7: “I became a minister according to the gift of the grace of God which was given to me according to the operation of His power.” Paul was a minister not according to His own ability and learning but according to the operation of God’s power. This divine enabling is required to minister the outstanding and excellent things of God. Father, give us a spirit of wisdom and revelation to see more of Your will, Your good pleasure, Your purpose, and Your power. Show us how all of these constitute us with You into New Jerusalem. God’s blessings to us are for the accomplishing of His goal, His good pleasure, to head up all things in Christ. Today Christ is heading up the members of His Body; later we will see His heading up of all things. In eternity He will be on the throne in New Jerusalem at the center of a fully headed-up new creation. Ephesians 1:11 begins, “In whom [Christ] also we were designated as an inheritance” or “In whom also we have obtained an inheritance.” Today God is our inheritance and we are His inheritance. Although this may not seem obvious now, in the coming age and in New Jerusalem it will be very clear. 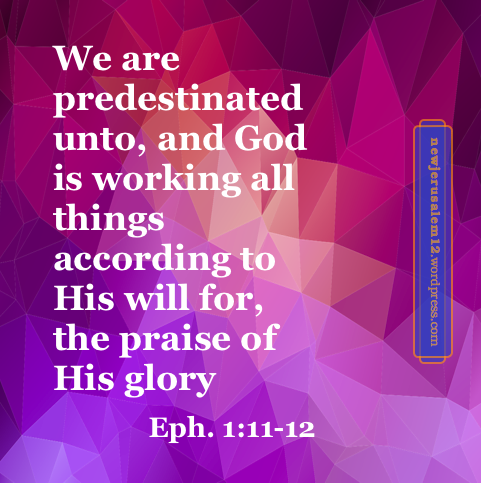 Verse 1:11 continues, we have “been predestinated according to the purpose of the One who works all things according to the counsel of His will.” Again predestination is mentioned. Our predestination is for God’s purpose, not for any human goal we might have. Ultimately we are predestinated for New Jerusalem with God’s glory. Today it seems that the world is in turmoil, but the infinite God works all things to reach His goal. We should have this realization in our lives—everything is according to God’s will, even if we don’t understand how it is. The goal of working all things according to His will is “that we would be to the praise of His glory who have first hoped in Christ” (Eph. 1:12). God’s glory will be expressed through us, resulting in praise from all creation to God. Although the praise is limited now, it will be much greater in the coming age and tremendous in New Jerusalem in the new creation. Ephesians 1:3-14 presents our God and Father’s spiritual blessings to us. These blessings all point toward His glory which ultimately is manifested in New Jerusalem. Ephesians 1:5 speaks of, “Predestinating us unto sonship through Jesus Christ to Himself, according to the good pleasure of His will.” God predestinated us in eternity past according to His eternal purpose for His eternal consummation. Our predestination is “unto sonship”—we become sons of God with His eternal life (John 6:47) and His divine nature (2 Peter 1:4). This life brings us partici-pation in the city of life, New Jerusalem, a composition of all God’s sons. This is the good pleasure of God’s will. Ephesians 1:6 tells us that God’s blessings in verses 4 and 5 are, “To the praise of the glory of His grace, with which He graced us in the Beloved.” We benefit from all these blessings, but their goal is praise to God. The praise is not directly to God but praise to the glory of His grace. Glory is God expressed. God’s desire is to express Himself through man. Thus He created man in His image (Gen. 1:26) so that man could be His vessel to contain Him for His expression. God’s desire is to “make known the riches of His glory upon vessels of mercy, which He had before prepared unto glory” (Rom. 9:23). Grace is God in Christ enjoyed by man. The result of this enjoyment is visible. Barnabas came from Jerusalem to Antioch and “saw the grace of God” (Acts 11:23). What he saw is being multiplied in many believers in many cities to produce the ultimate expression of God’s grace in New Jerusalem. Grace, God enjoyed by all His people, is expressed in New Jerusalem’s glory (Rev. 21:11), resulting in eternal praise to the glory of His grace.